I recently came upon a long-dead member of my family, Jebediah, who did some amazing things, in all sorts of places in the world. I think lots of people would find Jebediah fascinating, but I’m not equipped to do the formal, thorough research that a biography would need. Nor is there a self-contained section of the life that would make satisfying, coherent story as a novel, and if I change the truth enough to make one, it won’t truly be Jebediah’s story any more. How can I stay true to him, and write something that works? Well, you’re clearly not baffled about the difference between a novel and a biography, but maybe you haven’t realised just how interesting things are these days in the space between them. Life Writing lives in that liminal zone, which is also inhabited by memoir, creative non-fiction and some travel writing too: the books and essays which tell stories of real lives without making things up, but not in the strict, historian’s form that is biography. In this liminal zone, there are two main things to think about. First, structure: if you’re not going to structure the story starting at the beginning of a life, and laying out its events in chronological order, then how are you going to structure it? This is about the spine of your book, and needs a lot of thought. The second big decision is what your reasons for writing mean for how you write it. The fascination of life-writing is that no one’s written any rules for it, so you’re free to make up your own – but you do need to make some up. The reader needs to know how your narrative relates to the recorded fact, either just by how you write, or explicitly in a preface, author’s note or afterword. But you also need to decide for yourself, so that the narrative is consistent, and doesn’t leave the reader unsure and therefore sceptical. So, take some of these, think about what would suit Jebediah’s life and your talents (and limitations) as a writer, and start making your own rule-book. How much will you use the techniques of fiction to re-create things, beyond what’s directly recorded: dramatising scenes, giving people dialogue, imagining what’s going on inside heads, and in places not recorded? When you do, will you flag the shift from what’s recorded to what you’ve imagined or guessed? How much will you fill in the dull facts of the overall life, beyond the immediate events you’re re-telling? You might be surprised by how little you need. One of the things I admire about Helen Macdonald’s H is for Hawk is the discipline with which she excludes virtually everything about her wider, quotidian life of work and family, beyond the intense, central story of the hawk. How will you make sure that facts that belong in more than one chapter do show up when they’re needed to explain things, but without making the reader feel annoyed by the repetition? A thematic spine needs a sharp, editorial eye for this kind of thing. How much will you fill in of the wider, non-fiction picture: the social or political history, the science or psychology of the time, or our modern understanding as applied to Then? Obviously you need enough for the reader to understand the story, and why it matters. But it’s easy to get sucked into writing slabs of textbook, if only to bulk a slim central story up to book length. But that’s not what your reader bought the book for. I hope that helps – but don’t forget that what a spine supports is a real, single human body; it’s not enough just to string a series of self-contained essays together. The right spine, and the right techniques in the telling of the story, should also develop some kind of coherent, overall argument, the Thing You Want To Say, as it were, so that the reader takes away a real sense of new ideas as well as new information, however un-academic the language in which it’s written. You may not fully know how that argument is going to develop till you start discovering or even writing the detail, but you will need to listen for it, and work on it until it’s as clear and compelling as possible. To help with that, borrow the fiction-writer’s tools, and think about elevator pitches, hook paragraphs and the kind of synopsis that doesn’t just list the content of each chapter, as non-fiction synopses do, but really tells – sells – the story of Jebediah’s story, in a page or two. Can you make that sound compelling? This may not be a novel, nor the story of a life in the conventional sense, but you’re still in the business of storytelling. 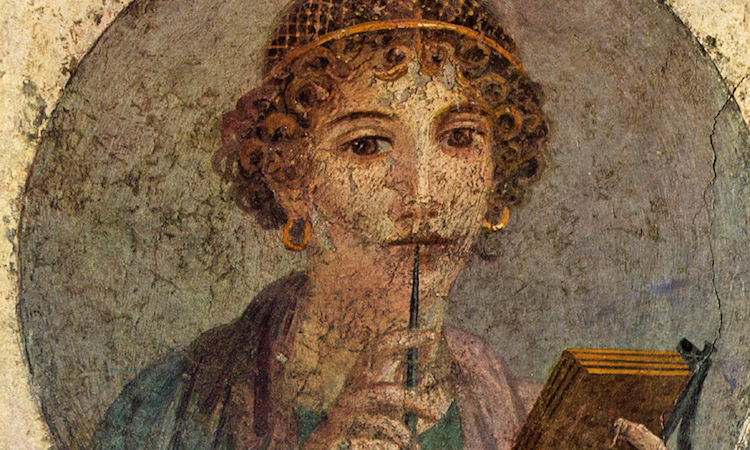 Photo: Pompeii fresco © the Naples National Archaeological Museum. Public domain.